Be outstanding in your field! The BRx6 is Carlson’s all-new multi-GNSS, multi-frequency smart antenna. The BRx6 provides robust performance and high precision in a compact and rugged package. With multiple wireless communications ports and an open GNSS interface, the BRx6 can be used as a precise base station or as a lightweight and easy-to-use rover. Incorporates Carlson Listen-Listen subscription technology to allow the use of one base station to facilitate the employment of many rovers. Designed for use by surveyors, contractors, builders, engineers and many others, the BRx6 can be purchased as either a Rover or as a Base/Rover package. The Base/Rover package includes two BRx6 GNSS receivers, two hard-sided carrying cases, four BRx6 batteries with two chargers, one GPS tribrach and one tribrach adapter, and two Carlson GPS receiver poles. The BRx6 receiver is powered by a state-of-the-art Athena RTK (Real Time Kinematic) engine. With multiple connectivity options, the BRx6 allows for RTK corrections to be received over radio, GSM modem, Wi-Fi, Bluetooth, or serial connection. The BRx6 receiver also enables users to work with the subscription-based Atlas corrections service, this industry leading global correction service provided over L-band communication satellites and the Internet. With this service, BRx6 users are provided with sub-decimetre positioning performance anywhere on earth. The Atlas L-Band receiver is standard on all Carlson BRx6 receivers. Listen-Listen is a new way of providing GNSS corrections between a mobile base station and multiple rovers (without fixed IP). Carlson listen-Listen is a subscription service using worldwide servers to re-transmit real-time GNSS corrections over the Internet. Using GSM communications or other external Internet connection, the Carlson Listen-Listen methodology is simple to configure and use, relatively low cost and completely controlled by the user. The Carlson BRx6 is equipped with sensors to enable position measurement with the pole tilted up to 30 degrees from vertical. Using the sensors in combination with Carlson SurvCE or SurvPC software, the user can instantly record a precise point position, even when the pole is far from vertical. 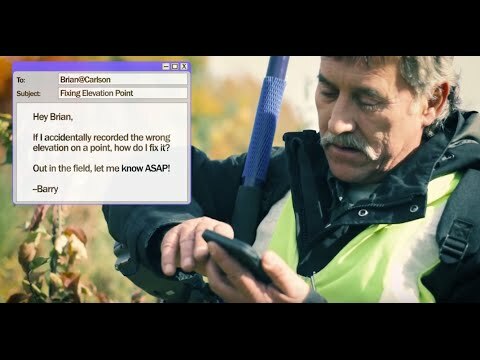 Carlson BRx6 raw GNSS data can easily be downloaded to any device via its inbuilt web interface. 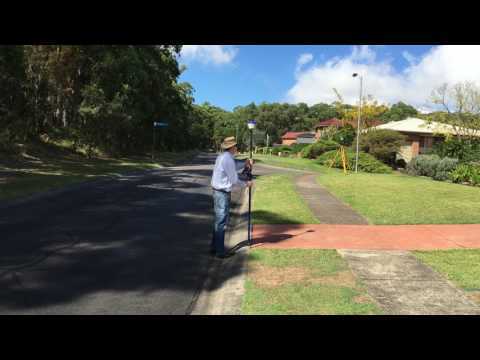 Raw GNSS data can be post-processed using Carlson SurveyGNSS software. The raw data can be from static, stop and go or VRS observations. Network adjustments as well as field-to-finish codes can processed. The resultant information can be easily returned to CAD and reports of all types can be generated.